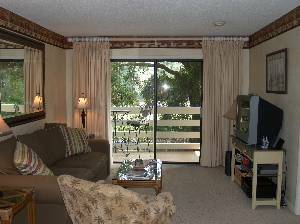 Located on beautiful Hilton Head Island, our villa is extremely clean and beautifully decorated so that families can enjoy their Hilton Head vacation with all the comforts of home! 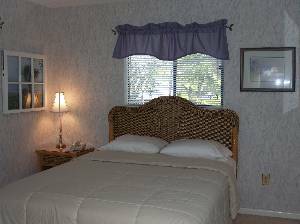 The Master bedroom has a brand new bedroom set and queen size mattress with a private bathroom, TV, DVD player, and VCR. The guest bedroom is also furnished with a set of bunk beds and a trundle which comfortable sleeps 3, TV, DVD player and private bathroom. There are ample closets for storage throughout. There is a Play Station game on the 27" surround sound TV in the living room. 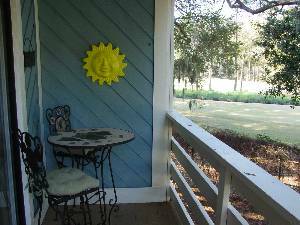 The private deck overlooks the 7th hole of neighboring Port Royal Golf Course. Our villa is situated at Fiddler's Cove Beach and Racquet Club which is a private gated resort with 24 hour security. Just a short walk will bring you right to the beach. There are two large swimming pools and a heated jacuzzi on site. If tennis is your game, you'll be sure to enjoy any one of the 10 exceptionally maintained har-tru tennis courts on site, at no additional cost! Since Fiddler's Cove is located mid-island, you'll be close to all of the many restaurants, shopping centers and activities available on the Island with Shelter Cove Marina just minutes away. They have fireworks every Tuesday and Sunday night. Great for the entire family! If you prefer you can play miniature golf, kayak, parasal, canoe or just stroll on the beach. The island is known for its miles of paved bicycle paths, one of which is right outside your door. Rental bikes are just a phone call away with pick-up and drop-off services available. The Island is a golfer's dream come true, with over 35 private and public golf courses available to choose from. 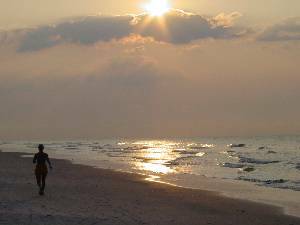 No other place is as friendly for both young and old as Hilton Head Island, with perfect weather year round. Please don't hesitate to contact us with any questions you might have. See our Glass Walls! Golf Discounts thru our Golf Partners No Security Deposit when Booking Online Walk or Bike to Harbour Town & Lighthouse! Special Restaurant Guide; Dine and Party like a Local! 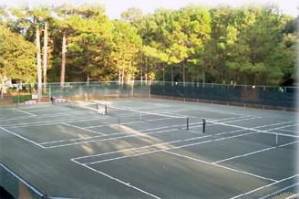 Fiddlers Cove has 10, exceptionally maintained, Har -Tru tennis courts which are available for your enjoyment at no additional charge. Our Villa is located minutes from beautiful Foley Field beach. You'll be able to jog in the morning or finish your day watching magnificent sunsets, just minutes from your door! Whether it’s with your morning coffee or afternoon cocktail, our Villa offers you a view of the 7th hole at neighboring Port Royal Golf Course. 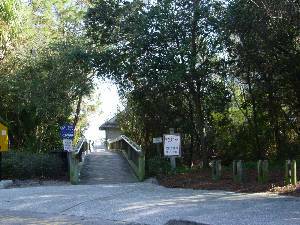 Convenient access to Folly Field Beach is only a 6 minute walk from the resort. A hard surface walkway leading out to the beach makes carting items easy. There are showers and bathrooms for your use. The Master Bedroom furniture and mattress is brand new. 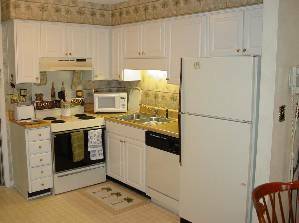 It inculdes a TV with DVD and VCR, ample closets and an updated private bathroom. We wanted to thank you for allowing us to enjoy your home. We loved the location and privacy. Thank you for all of your assistance. We will keep you in mind for next year. Mary, just wanted to drop you a note to let you know how much we enjoyed HHI and the use of your condo. The condo fit our needs very well and the development was nicer then we had expected. We took day trips to Savannah and Bluffton and put in plenty of pool time. A very relaxing trip and everyone had a great time. Thanks again, Andy. We had an awesome time. The condo was great, I can see why you love it so much. Don't worry about Saturday we arrived earlier than we thought. The great thing is that we were on the ocean and the kids were playing in the waves by 4:30! The condo is in a great location. We did the Alligator Adventure trip along with a crabbing trip with Crabber J II, recommend them both in case anyone asks. We also did a fishing charter with Captian Walker of Peristence Charters and we all loved that. Highly recommend him for future reference. I am going to keep your infomation when we want to come back to Hilton Head. Not sure what we will be doing next summer but like you when I got home to Ohio I missed the smell of the ocean as soon as I got out of the truck. I absolutely love the the ocean. Enjoy the rest of your summer. This is our home away from home. I know you will be happy staying in this unit. We have all the comforts of home and very clean, I might add! We as a family are quite comfortable here. The resort itself is great for the young and not so young. Give us a try and I know you will return back again and again. There is a 3 night minimum stay. Stays for less than 1 week will require a $75.00 cleaning fee. Check-in 4 pm, check-out 10 am. Monthly rentals, tenant is responsible for cleaning. Until confirmed, rates are subject to change without notice. Deposit: 50% deposit is required within 7 days of booking. Full payment is due 4 weeks prior to check-in. Cancellations and Refunds: Cancellation prior to 6 weeks of check-in will lose deposit. Required Stay: Sat. thru Sat ; 3 night min.